Muruguma is a tribal village located in Purulia district of West Bengal. 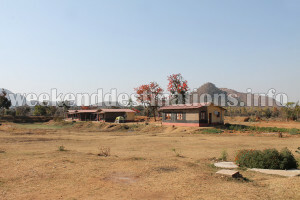 It is situated on the border of Purulia and Jharkhand. This place can be reached by car from both Jhalda in Purulia or Muri in Jharkhand. A visit to the Kenkechi Hill, Muruguma Lake and the attractions of Ajodhya Pahar will make your trip worthwhile. 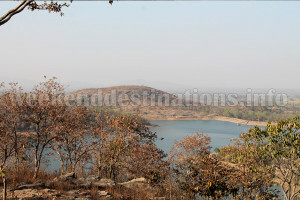 You can take long village walks through tribal villages across the lake or go for early morning bird watching trips here. Places to see at Muruguma: Apart from spending your time beside the tranquil Muruguma Lake and dam, you can visit the nearby villages, forests and experience the tribal way of living. Nearby attractions include a visit to Kenkechi Hill, Girguri Waterfalls and Ukumburra Hills. Nearby attractions from Muruguma: You will find that the road leading to the lake diverting at a distance of around two kilometers from the lake and leading to nearby forests. 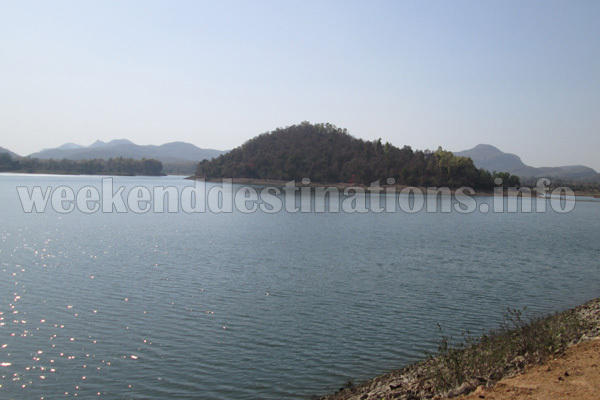 Being a part of the Ajodhya Pahar range, Muruguma is often used by guests as a stopover to visit the major attractions of Ajodhya Pahar in day trips like Lower Dam, Upper Dam, Pakhi Pahar, Bamni Waterfall, Turga Waterfall, Deulghata Temple, Charida Mask Village, Tarpania Lake and Khairabera Lake. Things to do in Murguma: You can explore the nearby forest and enjoy bird watching or catch a glimpse of the resident foxes. You can while away your time in the resort by chatting with people or visit the lakeside for a mesmerising sunset. You can also enjoy the campfire in the resort premises and the traditional dance performed by the tribal villagers for entertaining the tourists. How to reach Muruguma: The Rupasi Bangla train is available early morning that traverses between Kolkata and Purulia. The train reaches Purulia around 12:30 pm. From Purulia Station, you can hire a car and reach Muruguma. 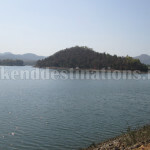 You need to avail the Ranchi road and travel to Muruguma, via Begunkodar. The distance is around 45 kilometers and it takes about 1 hour 20 minutes. Alternatively, you can also travel to Muruguma by availing a train from Kolkata’s Howrah Station to Jharkhand’s Muri Station. From Muri Station, Muruguma is situated at a distance of 35 kilometers. You can also reach Muruguma from Jhalda Station. Best time to visit Murguma: The winter season is ideal for those who want to enjoy chilly nights. When you visit this place during the winter season, make sure you bring sufficient warm clothes as the temperature after sunset hovers around 5 to 6 degree Celsius and at night, it drops down to 3 degree Celsius. In late March, the whole region of Muruguma is painted red with the blooming of Palash (Flame of the Forest) Flowers. Monsoons are also very scenic in this region when the whole region turns lush and the rolling dark clouds over the forests and hills makes its way across the sky. Lodging and dining facilities at Muruguma: A resort has recently come up at Muruguma just few hundred meters from the lake. The resort is the only lodging facility available in Muruguma as of now. There are four cottages and two tents. The Double bedrooms in the cottages offer all modern facilities such as attached western bathrooms with hot water arrangements, TVs in rooms, car parking, air coolers and comfy beds. The resort houses a separate dining place offering dining facilities and a relaxing place where tourists can chat. Usual Indian cuisine is served to guests..